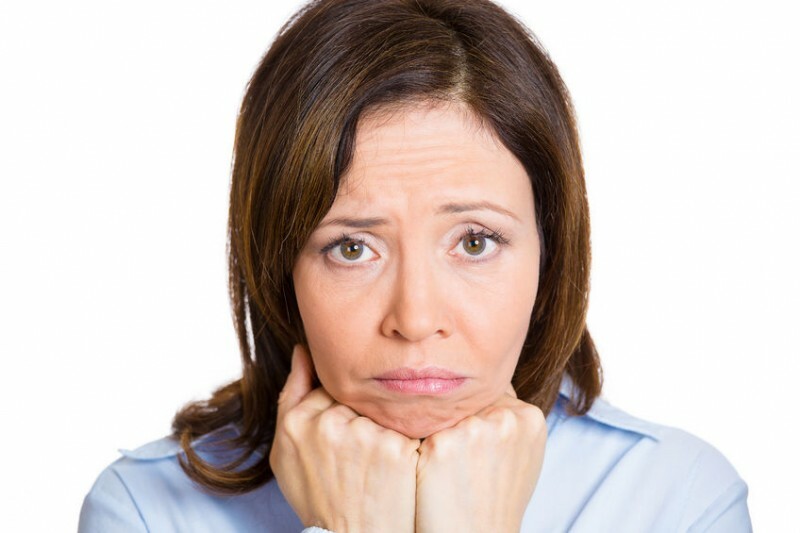 Do you Have a Long Menstrual Period? Maybe your period is longer than all your friends or family members. It seems unbelievable to you that for some of them, it’s over in 3-4 days, while yours lasts longer than a week. It’s certainly not ideal. But, is your period outside of the “normal” range? According to this, anything more than seven days is considered longer than normal, even though 5,6, or 7 days falls close to the end of this range. If this describes you, here are some tips for dealing with your long menstrual period in style. According to this article, the average women uses 5,000-14,000 tampons during the course of her lifetime. This doesn’t even say anything about the energy used to manufacture and ship the products, or the packaging that tampons come in. Now factor in pads as well and clearly that’s a lot of waste going to the landfill! The average silicone menstrual cup lasts for up to 10 years with proper care and cleaning. The Keeper Cup, made from latex instead on silicone can last even longer. A single menstrual cup has the potential to replace hundreds (thousands?) of tampons and pads. And, you can even recycle them at the end of your period. Think about all these pads and tampons we talked about in the previous section about the environment. These obviously cost money. The worst part about it is that disposable pads and tampons are actually quite expensive. Nobody likes paying the pink tax. A way to get around this is to get a menstrual cup. Although it is a bit of money up-front, you’ll recoup your costs in just a few months. Then, all those months and years after that are essentially free. For more details, check out: Are Menstrual Cups Expensive? Disposable pads and tampons contain chemicals that aren’t good for your health. There are pesticides that are used to grow the cotton. There are also chemicals and dyes from the manufacturing process. In the USA, disposables are classified as “medical devices” by the FDA so aren’t required to disclose what’s in them. Hopefully this will change in the future, but in the meantime, it makes sense to go organic, or stick with reusable menstrual products. Another health benefit to menstrual cups is that they come without the risk of Toxic Shock Syndrome (TSS). There have been reports of this serious problem being caused by tampons, but no reported cases with menstrual cups. Maybe you’ve been cursed with not only a long menstrual period, but a heavy one as well. Sorry to hear that. If you’re the type of person who has to change their tampon, even a jumbo one every couple of hours, check out a menstrual cup. Even jumbo tampons have capacities of only 10 ml or so. High capacity menstrual cups have capacities of up to 40 ml. 4x more capacity = 4x less hassle. Want to buy a Menstrual Cup? Are you convinced of the menstrual cup awesome and want to buy one? Then you’ll need to take our menstrual cup quiz. There are five easy questions that will help you choose the best menstrual cup for your body type. 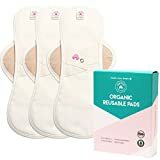 Reusable cloth pads, compared to their disposable counterparts have a lot of the same advantages that menstrual cups have over tampons. They don’t contain all the chemicals and pesticides that disposable pads do. If you have a long menstrual period, you’re probably using pads and tampons for more than a week each month. It makes sense to use the option with the least amount of toxins possible. In case you’ve never heard of reusable pads, check out: Cloth Pad FAQs. Another advantage to reusable cloth pads is that they’ll save you a lot of money. If you have a long menstrual period, you probably go through an entire box of pads each cycle. Maybe even more. This definitely adds up quickly over the course of a year, and a lifetime. The average cloth menstrual pad costs about $5-10, and they’re even cheaper if you make your own. You’ll recoup your costs in a only a few months. There are medical reasons, including some quite serious ones why you might have a longer menstrual period than normal. Check with your doctor to see if this is the case for you. There are also medical solutions to help reduce the length of your period. You can see if one of these is a possibility for you. Another thing to check with your doctor about is your iron levels, especially if you often feel tired, weak, short of breath, or dizzy (there are more symptoms-check online). If you have a long menstrual period and/or a heavy flow, then you might be low on iron. You can find out with a simple blood check, and then you can take iron supplements. But, please do this in consultation with your doctor, and only after getting your levels checked. Another thing to check with your doctor about if you have a heavy flow is taking Ibuprofen. According to this article, taking Ibuprofen during the heaviest part of your period can reduce flow by 25-30%. Of course, don’t self-medicate and check with your doctor before starting this. Eat healthy. Focus on fruits, vegetables and healthy protein. Drink water. Be sure to stay hydrated by drinking water throughout the day. Get enough sleep. Your body needs rest to recover and feel good. Exercise. If you’re not up for serious exercise, go for a walk or a short bike ride. Keep active and you’ll feel better. How do you handle a long menstrual period? Tell us your top tip below!